Did you set New Year’s resolutions for 2019? Perhaps you want to eat better, sleep more, get more exercise, or budget your money more wisely. Whatever your resolutions, we have one to add to your list: learn CPR. Learning CPR is fast, easy and inexpensive – and it could make you a hero. 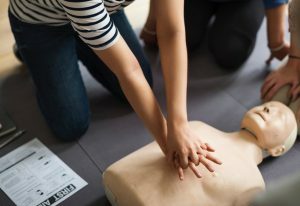 Check out our full lineup of CPR, AED and first aid courses, and read on for five great reasons to learn CPR in 2019! More than 300,000 people suffer from cardiac arrest every year in the U.S. When this happens, time is of the essence – the longer the body stays in arrest, the lower the chance of survival. CPR helps the blood circulate until help arrives. In fact, research shows that the likelihood of surviving a cardiac arrest more than doubles when CPR is performed. Bystander CPR is performed in less than half of cardiac arrests in the U.S. – between 15 and 30 percent, in fact. The most common reason given for not performing CPR is a lack of training. In 2010, the guidelines for performing CPR were changed. Now, only people who are trained and feel comfortable performing mouth-to-mouth resuscitation should do so. For the rest, hands-only CPR is an excellent, life-saving option. More than 85 percent, in fact. You may need CPR to save the life of your parent, spouse, sibling or child. What better motivation is there? CPR is Easy to Learn! CPR classes are readily available, affordable, and take just a couple of hours. That’s a small trade-off for learning how to save a life. Ready to learn CPR in 2019? 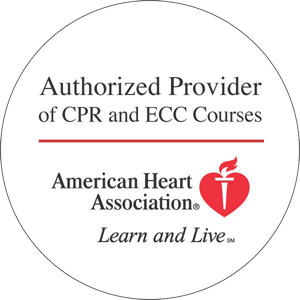 Check out the HeartCert CPR class offerings and sign up today. The post Five Reasons to Learn CPR in 2019 appeared first on HeartCert CPR Training.